This equipment and the research staff are located in the Scottish Microelectronics Centre (SMC), a purpose built facility at the University's Science and Engineering campus at King's Buildings. The complex consists of approximately 250m2of class 10and 100m2of class 100 cleanrooms and 1000m2of office and laboratory space. It is a 200mm capable facility with the flexibility for processing smaller wafer sizes as well as chips and the SMC hosts both academic and industrial research operations. The facility focusses on smart microsystems technology and integration and has a long track record of postprocess CMOS wafers (More than Moore technology). Contact details to arrange access and/or processing services are detailed on this page. 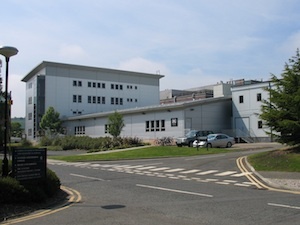 The cleanrooms are located in the purpose build £4.2M Scottish Microelectronics Centre building. This class 10 facility comprises 250 sq metres is controlled to 21±1°C with a relative humidity of 40±5% with a raised floor being used as the air return to the plenum. Each bay is serviced with DI, town and chilled water, nitrogen, compressed air, power, gases and vacuum. DC Magnetron Sputter Coater - Balzers BAS450 coater system with two 5 in × 10 inch targets presently used for coating up to 24 × 3 inch wafer with Al/1%Si, Al,W and Ti. It is also capable of coating 4 and 6 inch wafers. Ion beam pre-cleaning is available using an Ion Tec Inc Kafmann source. 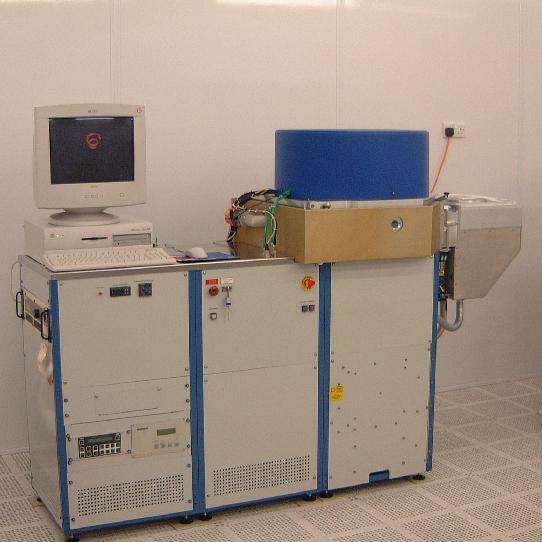 Oxford Plasmalab System - 400 magnetron sputtering system capable of sputtering Al/1%Si, Al, W, Ta, Ti and TiN on 6 and 8 inch wafers. Ion beam pre-cleaning is also available. STS Miultiplex PECVD vacuum load-lock system configured for SiOx and low stress nitride. Capable of coating up to 8" wafers. STS PF 508 barrel reactor for plasma ashing of photoresist from up to 150 wafers/run. (3-8 inch wafers). STS Multiplex load locked aluminium and polysilicon RIE etcher using SiCl4, and Cl2 chemistry (3-6 inch wafers). Plasmatherm Versaline DSE IV deep Si etch system (3-8 inch wafers). Wet Etching - Fume extracted class 10 laminar flow chemical stations permit safe cleaning of furnace quartzware and the processing of 3 to 8 in wafers in industry standard cassettes through the stadard mineral acid cleaning and etching treatments.Wafers are finally dried in Fluoroware or Tempress rinser/driers. A Maragoni dryer is also available(3-8"). Profiling of wafer topography is available using a Dektak Model 8000 surface profiler to record step height variations in the range 0.01 to 60 microns. Refractive index and thickness of visually transparent dielectrics such as silicon dioxide and silicon nitride are measured using an Applied Materials Ellipsometer model AME500 and a Sopra SE-5 Spectroscopic ellipsometer. This method is particularly useful in the thickness range 0.005 to 0.2 microns. Thicker dielectric layers and polysilicon layers are more readily measured using the Nanoscope Model 010-180 reflectometer. Sheet resistance of large area process layers is measured using a Veeco 1000 4 point probe. Where devices may suffer degradation during eutectic die attach, low temperature processing is available using doped epoxy. Ultrasonic wire bonding provides the additional flexibility required for infrequent hybrid assembly jobs. 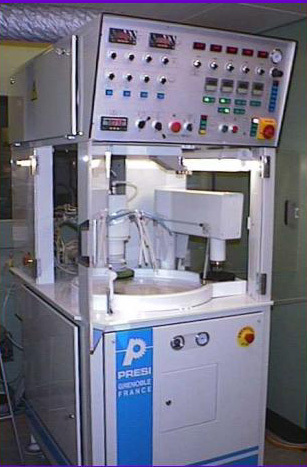 Two HP4062C test systems with 48 switchable pins are connected to a Karl Suss 200mm PA200 automatic wafer prober with ProbeShield® EMC for low signal probing which can be used to perform measurements required by IC-CAP and other parameter extractors under software control. Similar measurements may also be made using HP4145, HP 4156 and Keithley 4200 semiconductor parameter analysers and CV measurements on other manual and semiautomatic probers.